FL Studio (or fruity loops) is one of the most popular programs among people who are getting started in music production. It comes with a convenient easy to use interface and a comprehensive set of features, and you can do almost anything with it: music creation, recording, live instrument recording, mixing, final mastering….etc. FL Studio is a relatively lightweight DAW program, and you can probably use with no issues on your current computer. However, if you are planning to buy a new laptop for FL studio, or music production in general; there are a few things to keep in mind in order to get the most bang for the bucks and provide the most performance for music production. Image Line already provides a very detailed article on the subject, which you can find here . But since we only focus on laptops, let’s check briefly your top priorities when looking for a laptop for FL Studio. Processor: The CPU is the most important factor when looking for a laptop for music production. While you might not need the most powerful quad core processor to be able o run FL studio, getting at least an Intel i5 processor ( or equivalent) is highly recommended. Because 99% of the time, you won’t be able to upgrade to a higher processor on a laptop, while you can add extra RAM and storage capacity. Also, by getting a more powerful processor (higher clock speed, quad core) you will be able to run more complex projects in FL Studio. RAM: 8GB of RAM is a comfortable minimum when buying a laptop in 2018. While most DAWs will eat up your RAM, FL studio is not too hungry when it comes to RAM, even when you use plugins and VSTs. Remember to check if the laptop comes with a free RAM slot, in case you need to add extra RAM in the future. Storage: A solid state drive is recommended, they are faster than traditional mechanical drives, and make your laptop more responsive. However, SSDs are expensive per GB and thus will really add up to the price of your device. Most manufacturers will only include a 256GB drive if it’s an SSD (or 512GB for higher end models), while you can get a cheaper laptop with a bigger capacity mechanical drive. Audio interface: We’re mostly talking if your soundcard / audio interface supports ASIO drivers (Audio Stream Input/Output). ASIO drivers are very important in digital music production; if your soundcard supports ASIO drivers then it can be accessed directly by FL Studio (and any other DAW), instead of communicating via the operating system. And this means a huge gain in performance, especially when creating complex projects. Most laptops nowadays are compatible with ASIO, but it’s a point that is worth checking if you have any doubts. The Acer Aspire E 15 E5-576G-5762 is one of the best budget laptops you can find on the market right now. 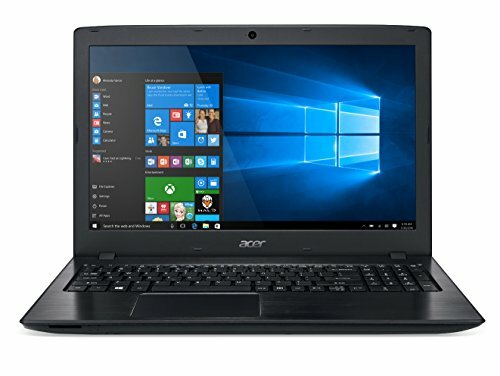 For a price tag under the 600$ mark, the Aspire E 15 E5-576G-5762 offers great components and excellent build quality that you’d expect only on more expensive laptops. It packs an 8th Gen Intel Core i5-8250U processor, 8GB of RAM, a 256GB solid state drive, and even an entry level dedicated Nvidia MX150 graphics card. The Aspire E 15 E5-576G-5762 has more than enough power to handle all your everyday tasks and FL studio projects. The 15.6-inch screen has a native resolution of 1920X1080 pixels, and also has IPS technology. Battery life is simply great, and you can easily squeeze up to 10 hours of real world use from a single charge. The Aspire E15 also comes with USB type C, which is a nice feature for a budget laptop, if you want to future proof your laptop for the next few years. The Asus Vivobook Pro 17 N705UD-EH76 combines performance to a sleek design despite being a 17 inch laptop. It comes with an 8th generation i7-8550U processor, 16GB of RAM, a 256GB SSD + 1TB standard hard drive, and a dedicated Nvidia Geforce 1050 graphics card. Overall, the I7 8550U performs slightly lower than the i7-7700HQ, but consumes less power. 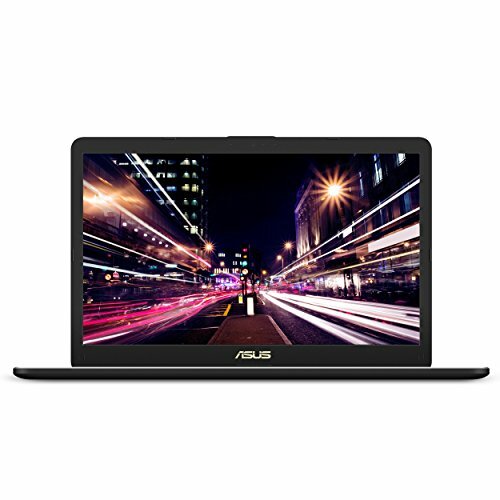 The Asus Vivobook Pro 17 N705UD-EH76 is a very good choice if you’re looking for laptop for fruity loops, casual gaming, video and photo editing, and daily productivity tasks. 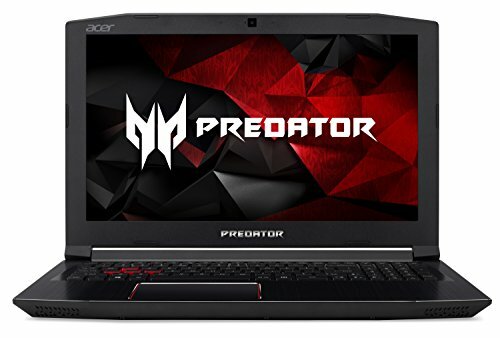 The Acer Predator Helios 300 is one of the most powerful laptops under 1000$ you can find. Powered by a 7th generation Intel core i7 7700HQ quad processor, 16GB DDR4 RAM, a 256GB solid state drive, and an NVIDIA GeForce GTX 1060 with 6 GB of dedicated GDDR5 VRAM. the Helios 300 is a perfect choice if you’re on the hunt for a medium/high gaming laptop that you can use for music production as well. Video and photo editing are also possible on this machine. The Helios 300 sports a 15.6 inch IPS display, at a Full HD resolution. The screen is very beautiful, and offers excellent viewing angles. It also has a matte finish and doesn’t suffer from reflections too much. The build quality on the Helios 300 is also very impressive, with a solid metal body and contained weight/dimensions for a gaming laptop: the Helios 300 weighs 5.95lbs and is 15.35 x 10.47 x 1.05 inches. Powered by a 7th Generation Core i7 processor, the Lenovo Legion 15 Y520 is a serious gaming laptop as you can tell by its looks. Under the hood you will find a Core i7-7700HQ Processor, 16GB of RAM, a dedicated Nvidia GeForce GTX 1060 graphics card, and a 512GB SSD. The Legion Y520 also sports a gorgeous 15,6 inch Full HD screen, which delivers vivid colors and great viewing angles thanks to the IPS technology. The speakers are also very good. You should note however that the Legion Y520 is a gaming laptop and thus has a limited battery life. So if mobility is important to you, consider another laptop. 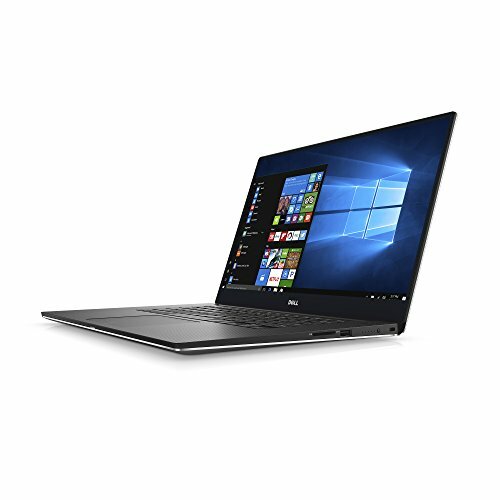 If you’re looking for a thin and lightweight laptop that you can carry around easily, but don’t want to sacrifice performance, the Dell XPS 9560 is the perfect combination between build quality, portability and performance. With a maximum thickness of 0.66 inch and weighing less than 4 pounds, the XPS 9560 packs a 7th generation quad core Intel i7-7700HQ processor, 16 GB of RAM, a blazing fast PCIe based 512 GB SSD, and an Nvidia GTX 1050 graphics card. The XPS 9560 enough power under the hood to handle all your music production projects. The Dell XPS 9560 also sports a dazzling 15,6 inch 4K display, which also has IPS technology: the screen produces gorgeous images and when it comes to color accuracy, the XPS 9560’s IPS display is a champion. Battery life is excellent for a laptop with dedicated graphics and a 4K screen; you can expect to get about 6 to 7 hours of real world use from a single charge. 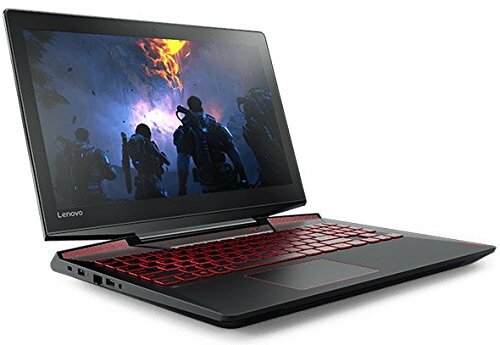 Previous articleBest high performance laptops: Top 5 picks!